102 people have viewed this property this week. 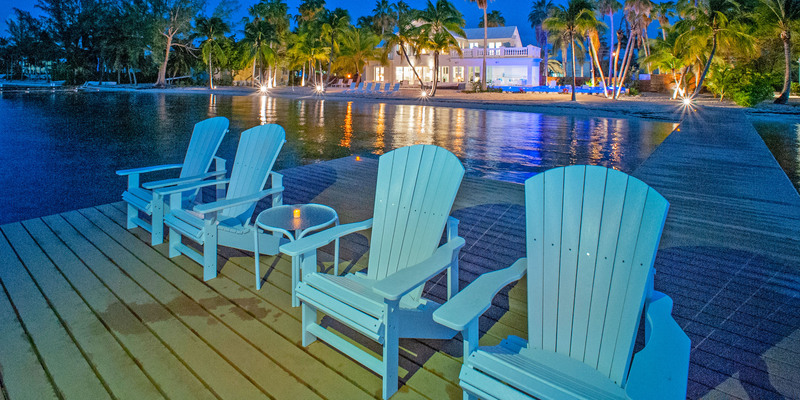 Crystal Waters is directly oceanfront on a 200-foot wide barefoot beach in Cayman Kai. 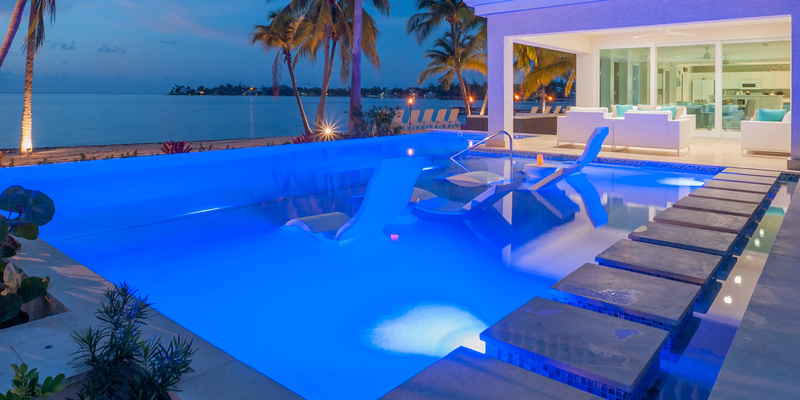 Quiet clear waters and panoramic ocean views await in this 5,200 sq foot island getaway. 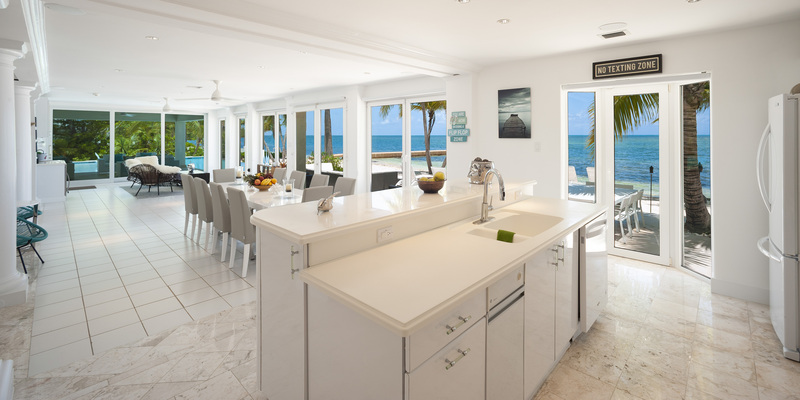 The oceanfront first-floor sunporch spans the entire width of the house, allowing guests to enjoy expansive Caribbean views from the kitchen, dining, TV and family areas. This home has just about everything. 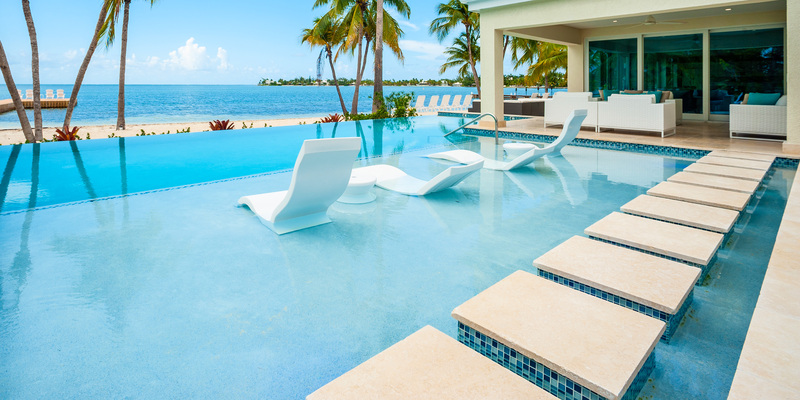 The pool was recently completed with a shallow waddle area for chaise lounges, a poolside veranda with sofa seating, and a large beach deck for entertaining*. 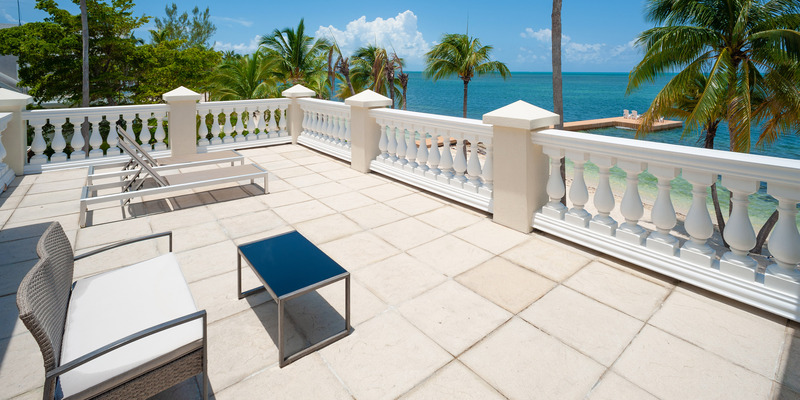 The wide lot permits the new owner to offer plenty of privacy while also being conveniently located in Cayman Kai. Location is paramount for Crystal Waters. 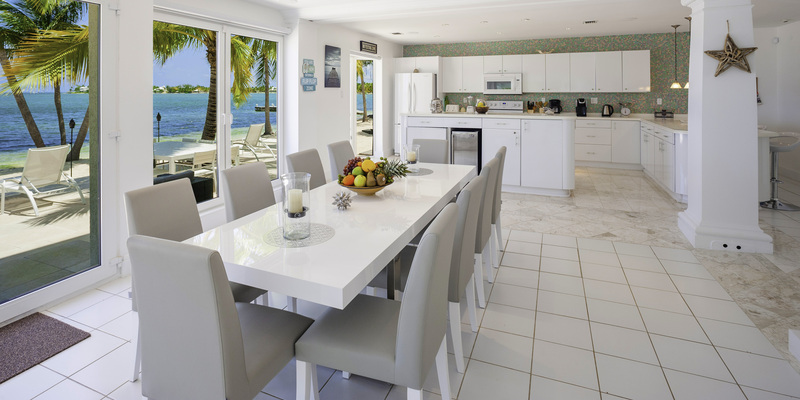 This wonderful Caribbean villa is across the street from the Kaibo Yacht Club and restaurant. Starfish Point is a 5-minute walk west and the famous Rum Point Club is about a 10-minute walk north. 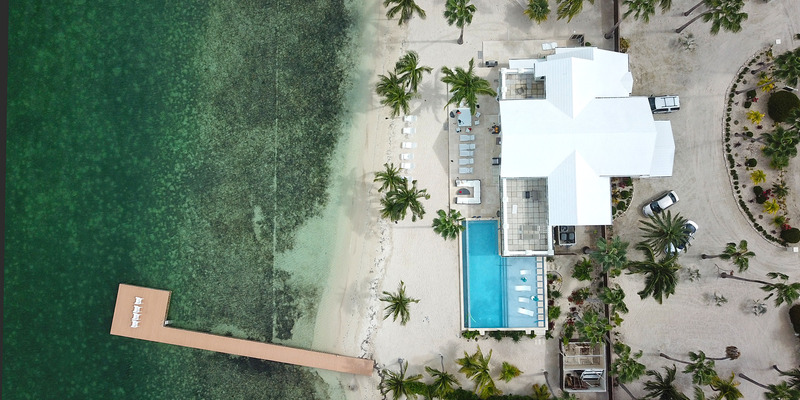 The Kaibo offers watersports, a beach bar, take out pizza, coffee shop, Camana Bay Ferry service and easy charter boat pick up for our guests. The ocean views from Crystal Waters include the catamarans crossing from Camana Bay to Rum Point, as well as the famous stingray sandbar and snorkeling charters in the north sound. Seldom will you see anyone walk by your beach during the week as beach access is restricted to the public here. 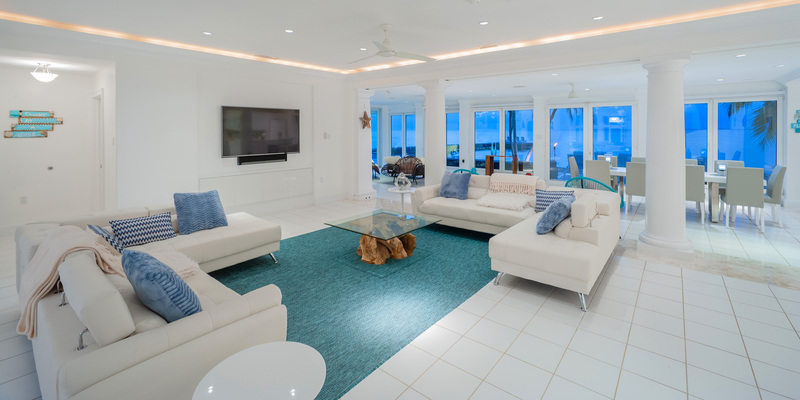 An open floor plan of 5,200 square feet offers both inviting living and dining rooms, along with a spacious TV/family room, modern kitchen, and a lovely new oceanfront deck. The living room is equipped with an entertainment hub featuring a large wall mounted flat screen TV, surround sound home theater system, and DVD player. 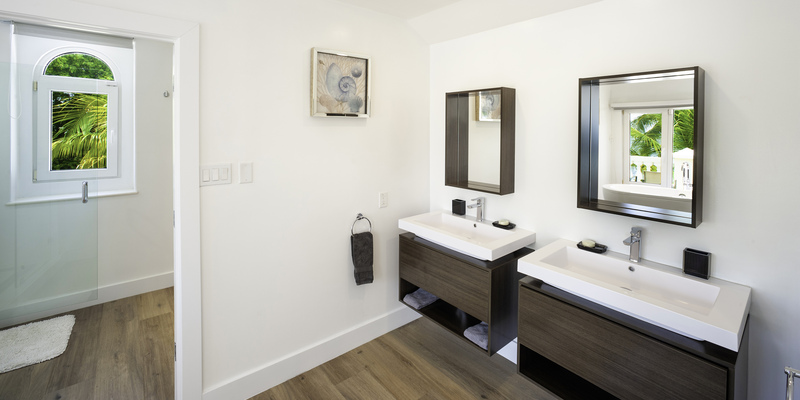 The first floor consists of the living and dining areas, pool veranda and sunporch areas, plus 2 queen bedrooms each with a bathroom (one is ensuite). 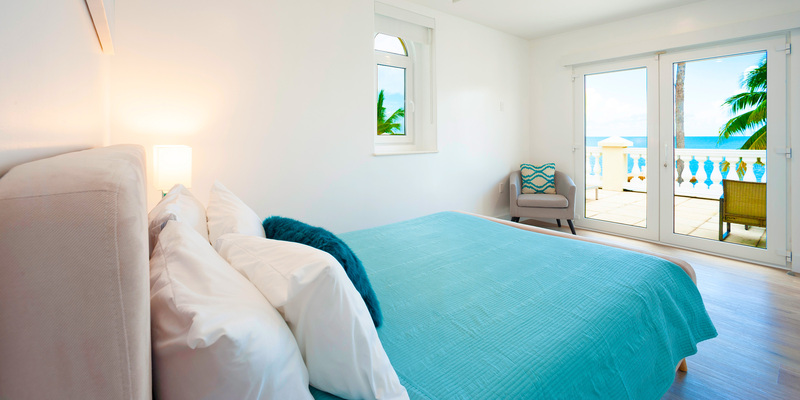 The second floor offers an oceanfront king master suite and 2 queen bedrooms that share a large bathroom. Family queen suite with an attached media room with pull-out sofa for couples with smaller children who may wish to sleep closer to their parents. The second floor also offers an outdoor railed terrace with outdoor furniture. Second-floor king master also has a private terrace with outdoor furniture as well. 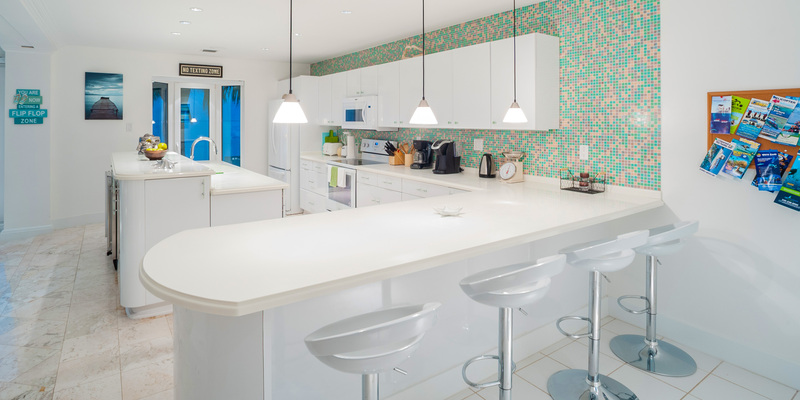 Modern kitchen with a full-size refrigerator, stove, microwave, toaster oven, coffee maker, dishwasher, free standing ice maker and of course a blender for frozen drinks! 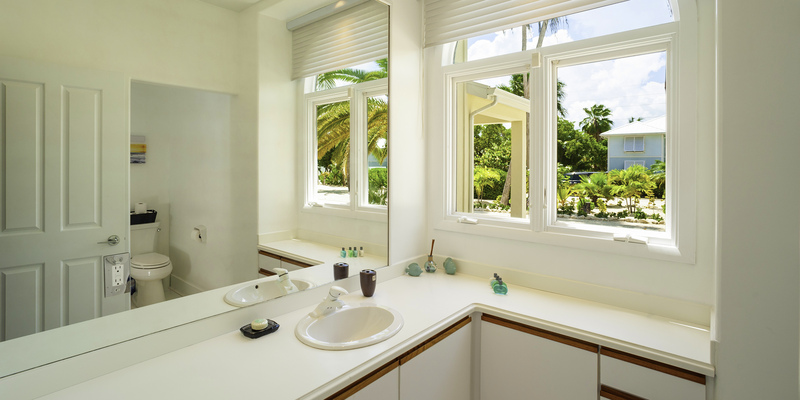 A wet bar sits off the dining area and includes an under-counter wine color, mini-fridge, and sink. Sun-filled living room with plenty of seating, entertainment center, satellite TV, DVD Player, and stereo system. For your peace of mind, the owner also offers a security system. 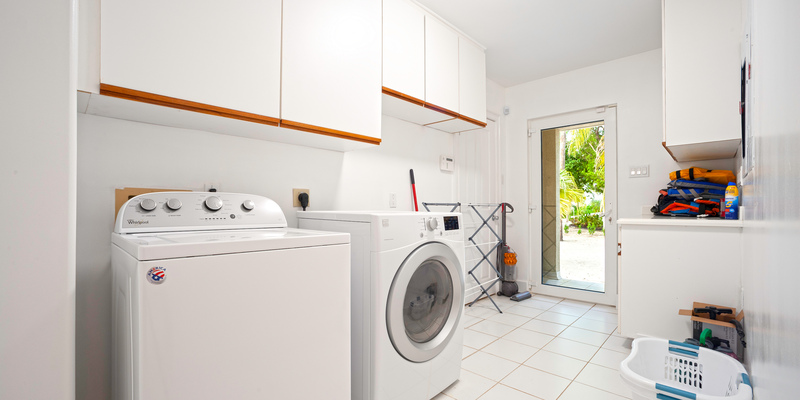 There is a separate utility room with a full-size clothes washer and dryer. Sleeps up 10 adults, 12 total guests including children sleeping in roll-aways or pullout sofa. Infants sleeping in cribs do not count against occupancy. *Pool heat is available for a weekly surcharge of $250. Note: Silver Thatch kayaks and stand up paddleboards (SUPs) available for discounted rental. Signed waiver and 5-day minimum required with 6th and 7th day free: US$39 per day per kayak/SUP ($195 per week/each). Paddles included. Crystal Waters enjoys a beautiful barefoot white sand beach and north-western sunset views looking at Stingray Sandbar. One can walk barefoot all the way down to Starfish point, about a mile away. The Kaibo Yacht Club and restaurants are less than 100 yards from the house by foot. An excellent place to grab a morning coffee, casual lunch or elegant dinner upstairs. The Kaibo also has a marina and is where many private charters will prefer to collect you for a private deep-sea fishing charter, stingray city charter or snorkel trip. The ferry to Camana Bay also leaves from the Kaibo. Great property and very well out-fitted for kids aged 5 - 70! Penni the property manager was excellent, very responsive and extremely accommodating. Perfect spot to make memories that will last a life time! Do\'s: try a mudslide, try the jerk chicken at Rum Point, try the coconut fish curry at Kaibo Beach Club. Don\'ts: take the starfish out of the water, get sun greedy, be scared of the string rays. Looking forward to coming back!! What a magical week! Loved every moment in this house! Mom and kids got certified with Silver Thatch Water Sports. George was amazing and so flexible with our flight delays. Can\'t wait to come back! The house with all the views, sunsets in the dark, and relaxing on our private beach made these memories long lasting. Our group, which consisted of two families, had a wonderful week-long stay at Crystal Waters in February. The house was beautiful and the location was perfect. 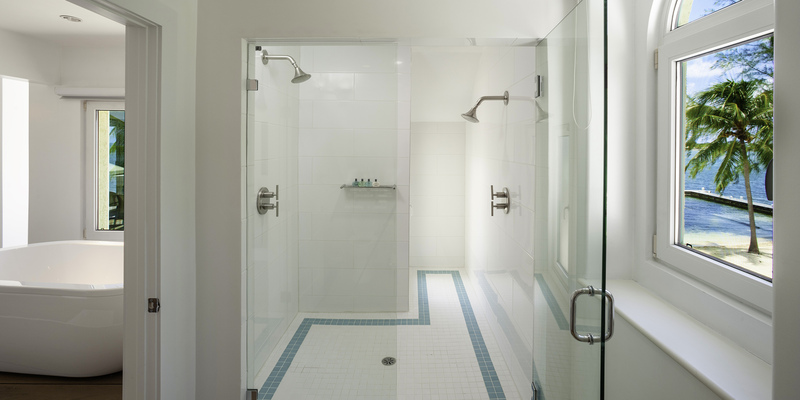 The house was very spacious and clean with plenty of amenities. The kids enjoyed the game room upstairs and the kitchen was well-equiped. But the outdoor spaces of Crystal Waters is where we spent most of our time. 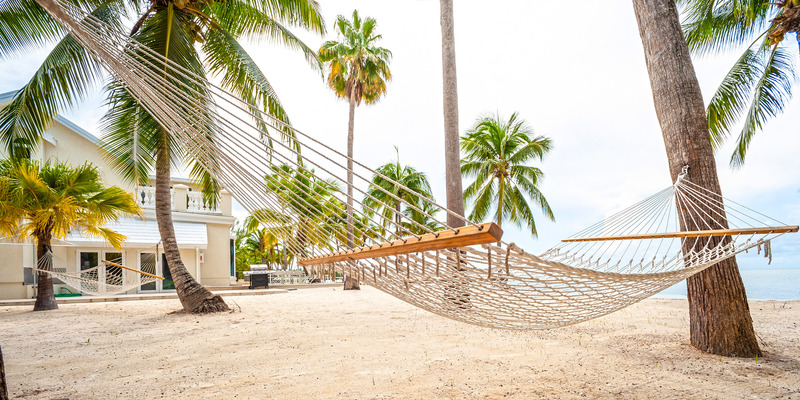 There were so many areas to relax and enjoy the Cayman sun and water that we often couldn\'t decide where to spend our time! The kids loved fishing from the dock, kayaking & paddle boarding (provided by the Villa), and swimming in the pool. Other highlights of our time there include two personal chef-prepared dinners served outdoors on the large dining table (one with Chef Lloyd and one with Rosie Parris), a snorkeling and sting ray city charter with Captain Joe from Silver Thatch, several dinners at Tukka, floating in the water right outside our back door and lounging in the shade under the palm trees. The sound system at the house is also a great addition. The location of the house couldn\'t be better with Kaibo across the street and walking distance to Starfish Point. We were able rent bicycles across the street for our entire stay and enjoyed riding bikes each day. We couldn\'t ask for a better villa for our vacation. 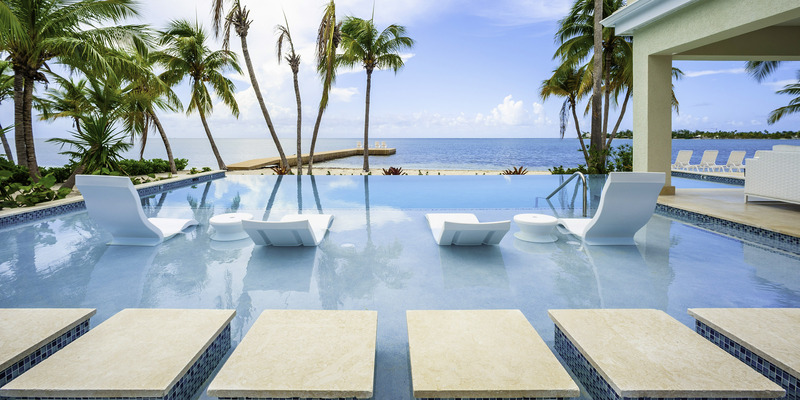 Beautiful layout with pool and oceanfront. Calm water. Enjoyed BBQing, cooking chicken curry and making Pina Coladas! Stayed with friends here and made lasting memories. 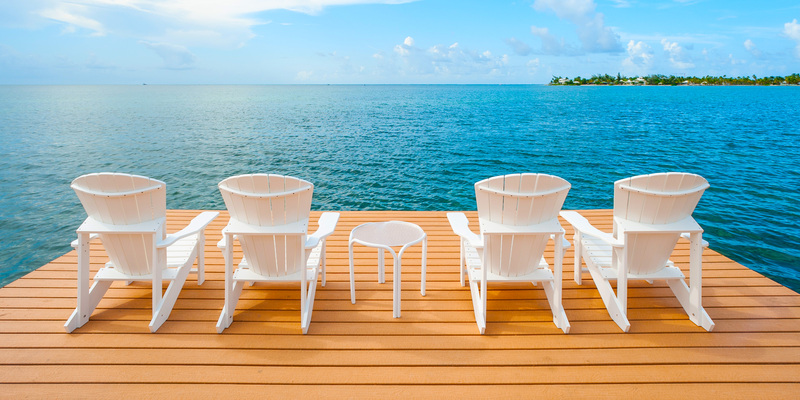 Easy access to Cayman Ferries to visit Camana Bay & Seven Mile Beach. All the kids had a blast with the spacious set up. Hope to return one day soon. We\'ll miss all the iguanas. House was great and property manager very responsive to our inquiries . One problem was that the booking information we received from you had the name of the property but not the numbered street address. There is no Crystal Waters sign and we and others had trouble finding the house. 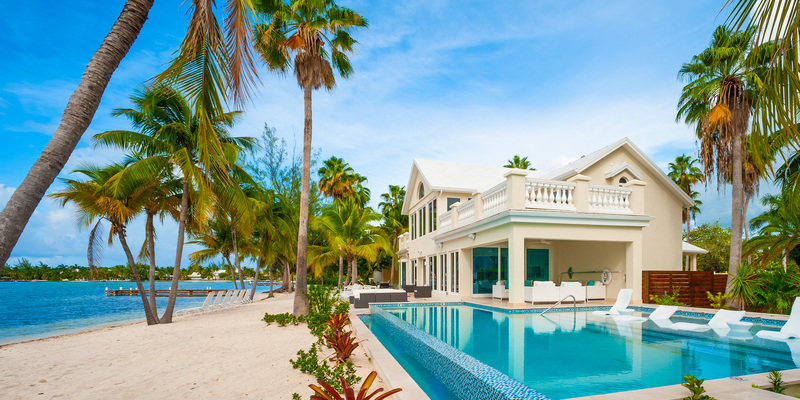 We have been going to the Caribbean for many years and this is the best house we ever stayed in. It was great having kayaks and paddle boards. All contracts have property addresses. The smart phone app we asked you to doenload three times has the property physical address. Amazing house and gorgeous location! Fantastic family vacation! I can\'t say enough great things about this property. We were a group of 16 that had to have an overflow house about a 5 min drive down the road but the majority of all of our time was spent at at the house. It is remote enough to enjoy seclusion and quiet but close enough to have conveniences. There is not a large grocery store close so that was tough but we made a few runs for necessary items and the close small store. There are a couple close restaurants that are decent but we were there for the outside not the food. 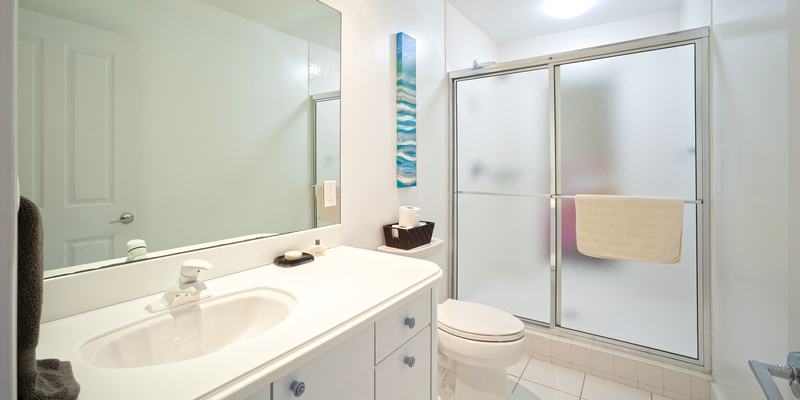 You are within walking distance to Starfish Point and Rum Point and Kiabo Yacht club. We did a private charter through Grand Caymans Villas to StingRay City, snorkeling off Rum Point and a drop off for a drink at Camana Bay. The house was spacious enough for all of us to spread out. We used the media room for a small child which is attached to another bedroom. Each room downstairs has its own thermostat, which was a nice addition. The house has everything you need. 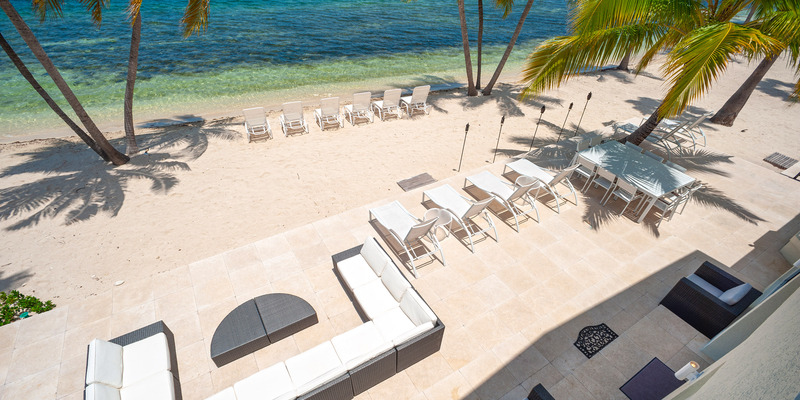 Snorkels and fins, floats for the pool, sand toys for the beach, 2 paddleboards, 2 kayaks and endless outdoor and indoor seating. We had a couple maintenance issues with the hammocks (which are hung too low to enjoy) and the fans but they weren\'t a necessary part of our vacation. The open space for eating and entertaining worked great for our size group. The dock was also nice to catch a breeze when it felt a little stagnant. You do have to really watch for jelly fish in this area because they are everywhere. We saw tons of marine life while snorkeling off the shore in front of the house, including a stingray. We used pack and plays and high chairs and coolers from the property management for free which was a great perk. It was nice to not have to pack all that stuff. All in all this was a great experience and we will definitely be back! Thank you for your review. Crystal Waters is a special home! We worked with Scott to find the best home for our large family vacation. Scott was terrific, spot on meeting our desires. 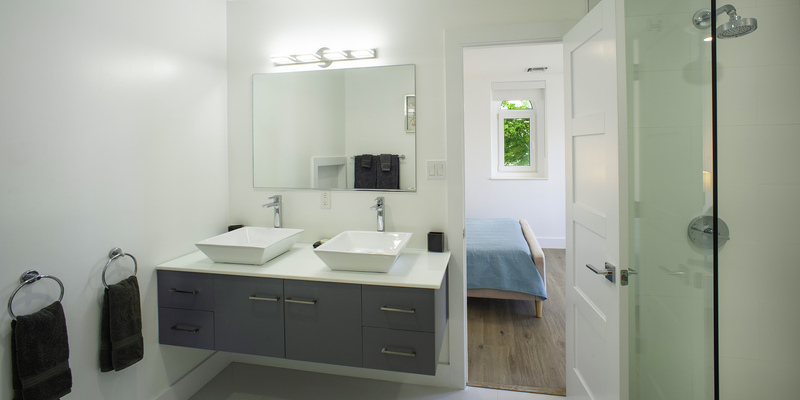 The home exceeded our expectations. Very clean, bright and literally on the beach and water. The pool and dock were great. We thoroughly enjoyed ourselves. We have traveled many islands and this was one of our best spots yet. Call Scott for help seeking which property is the best fit. Our family of 6 stayed in this house for a week, and loved every moment. During the booking process, I had several questions and they were always answered in a timely manner. The property manager was amazing, she was waiting for us upon arrival with a lovely welcome basket which included juices, wine, rum cake, etc. She even emailed us during our stay to make sure everything was going ok. The house was absolutely lovely with the most stunning views of the ocean. The house was extremely clean, beds comfy and had every thing we could have possibly needed. We enjoyed the beautiful, brand new pool daily and it\'s even lovelier at night with all the lights. Couple of kayaks were included which we enjoyed paddling over to Starfish Point. The location is in a quiet area which we really enjoyed and we loved the convenience of walking over to Kaibo for dinner. I would highly recommend this property. Amazing is the word I would use to sum up our trip. From start to finish it was the best vacation. 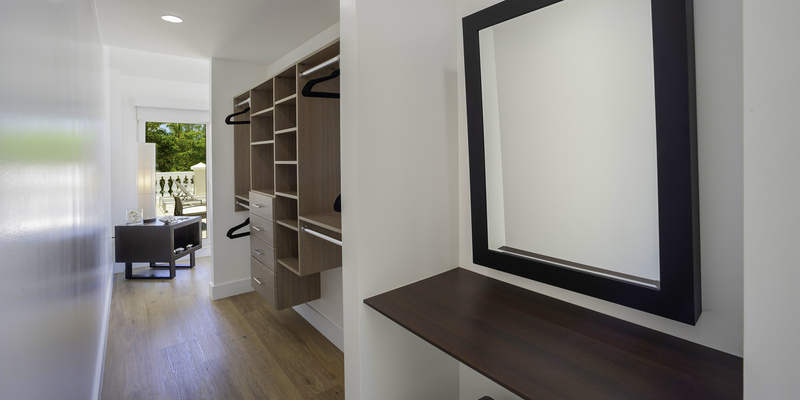 The property is so well equipped with everything you need. The views are just unbelievable. The new pool is where we spent most of our time and watching the sunrise on the new dock. Such a great place to relax and unwind. This place does not disappoint. Can\'t wait for our return visit. Everything about this house is stunning, including the warm hospitality of the owner. This home will not disappoint, it is clean, spacious, comfortable and the owner has thought of every detail that guests will need. The pool is gorgeous, several kayaks, life jackets, and paddle boards are provided. 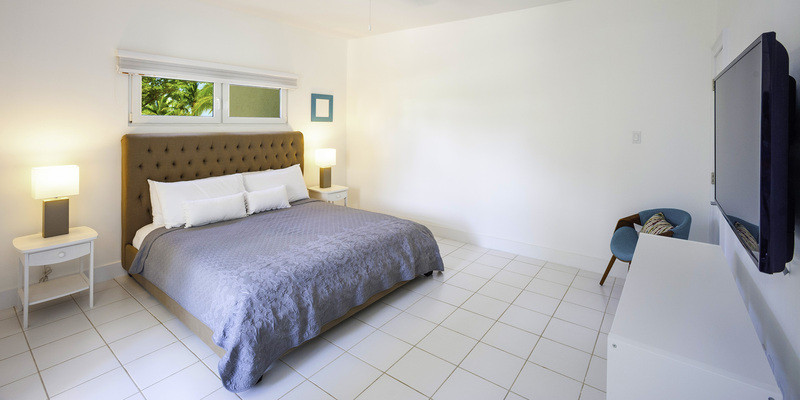 The master bedroom views of the beach and ocean are breathtaking. Rum Point and Kaibo restaurant are all an easy walk away. The neighborhood was quiet and peaceful. The owner even checked on us during our stay to make sure everything was ok. 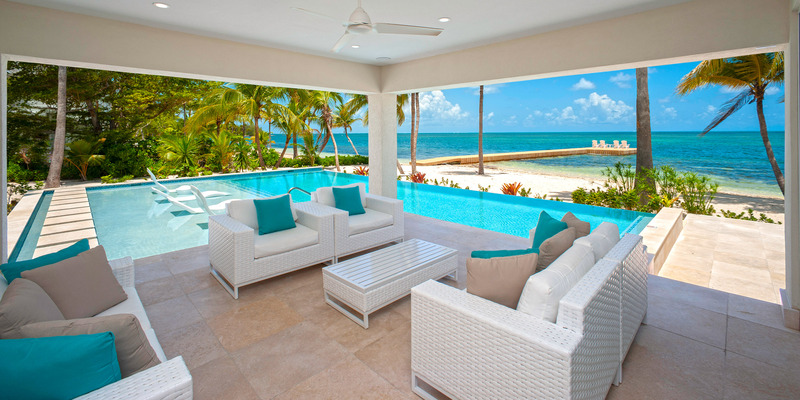 I would book this home again in a heartbeat. Thank you so much for a wonderful stay! Great House. Great Space. Great Location. We stayed on Rum Point for family reunion with ~ 30 members during Spring Break. 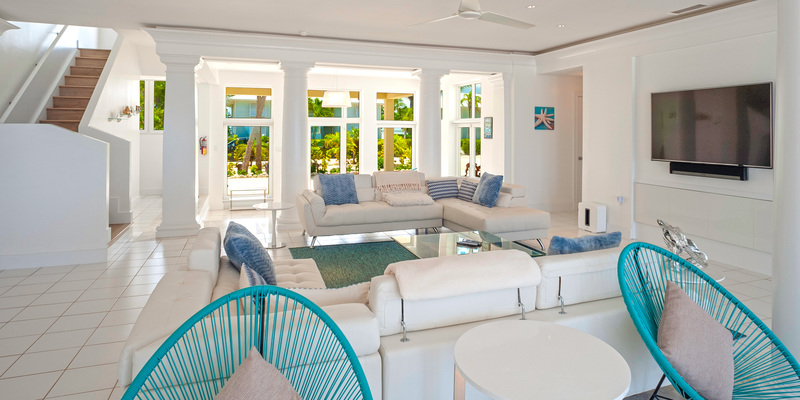 Though we all didn’t stay at the Crystal Waters property, this house was perfect for the formal gatherings. There was plenty of comfortable space in the kitchen/main area for visiting, eating and even dancing. The master bedroom was amazing. I could definitely wake up to that view every day. The other bedrooms upstairs were great as well. The 2nd BR upstairs had its own access to the outdoor rooftop patio and view of the water. The 3rd inner BR upstairs is perfect for a family. The one bonus/game room doubles as an extra bedroom, though if the partition is closed, there is no direct access to bathroom. The bonus room has a cool multi-sectional couch set. It is durable furniture pieces that serve as couch, chair, single or double bedrooms. Highly functional! 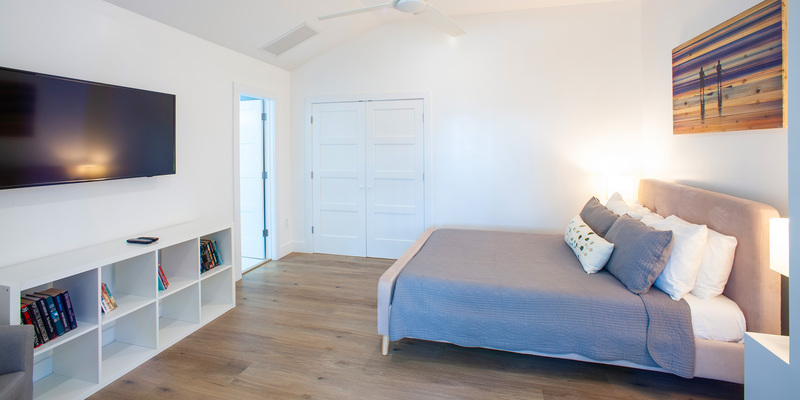 The downstairs bedrooms are great too, with the one BR with sliding doors out to inside patio, overlooking the water. 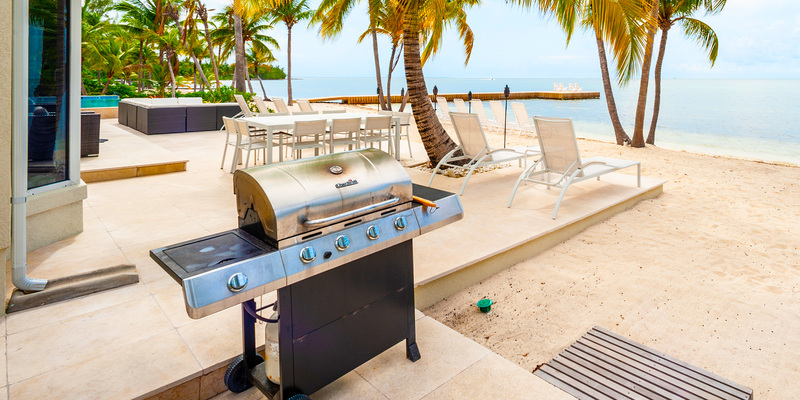 The property had just about everything you would want for outdoor activities including kayaks, paddle boards, hammocks, bocce ball, snorkel gear, life vests and a pier for fishing. A pool would have been nice (I understand that one is scheduled to be built), but it didn’t’ keep us from having a great time. The only thing missing was a couple of bicycles. The views of the back patio were peaceful and beautiful. The patio table was great for outdoor breakfasts and dinners. The outside speakers were a nice touch. The location is right across from the Kaibo Yacht Club and walking distance from Starfish Point. It’s also very close to the beach at Rum Point. The only minor issue we had was a leak in the ice machine, but the team was exceptionally responsive and it was fixed in less than 24 hours. Over the course of the week, we all talked about how perfect the house was for our trip. We had a blast and I would totally stay there again. 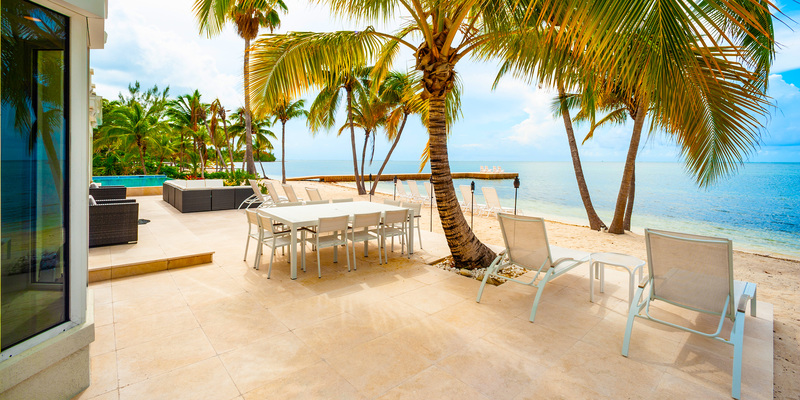 As first timers on the Cayman Islands my family of 6 adults and 5 grandchildren were more than pleased and excited with the 5,200 sq ft house called Crystal Waters we rented from a very delightful couple (the Purton’s) across from Kibo restaurant and marina. We have taken our family on many vacations but this house and this island is the best we have ever experienced. Thank you for your kind words. The Purtons have put heart an dsoul into Crystal Waters and it shows!!! Please come again soon!